A4, Maximum Printing Resolution: 4800x1200dpi, Resolution: 600 x 1200dpi, 8.8 ipm (Black), 5.0 ipm (Color), USB & WiFi, 60sec. (borderless), up to 7000 pages print per bottle, Flatbed, Garansi Resmi Canon. 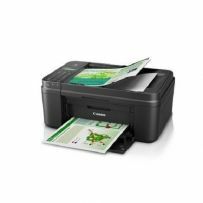 A4, 4800 x 1200 dpi, Black/White 8.8 ipm Print, Color 4.4 ipm Print, 600 x 1200 dpi Scan, Color 3.6 ipm Copy, FAX, Up to 1000 pages, USB, Wireless, Tray 1# 100, Garansi Resmi Canon. 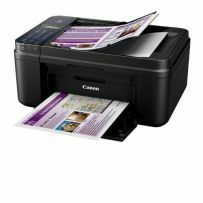 A4, Letter = 60, 4800 x 1200 dpi, 7.7 ipm (Black), 4.0 ipm (Color), USB 2.0, Garansi Resmi Canon. 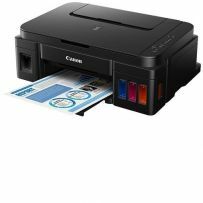 A4, Max Resolution: 9600 x 2400 dpi, 9 ipm(Black), 5.8 ipm (Color), SCAN, Borderless Printing up to 8.5" Wide, Wireless PictBridge & Mobile Printing, USB 2.0 and Wi-Fi Connectivity, Garansi Resmi Canon. A4, 4800 x 1200 dpi, 8.4/4.8 (BW/Color) ipm Print, 1200 x 2400 dpi Scan, 2.6 (Color) cpm Copy, Tray 1# 100, Garansi Resmi Canon. 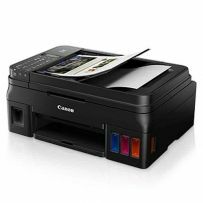 A4, 4800 dpi, 8,8ipm (mono), 4,4ipm (Color), SCAN, USB, WIFI, FAX, PRINT, 400 Lembar, Garansi Resmi Canon. A4, Maximum Printing Resolution: 4800x1200dpi, Resolution: 600 x 1200dpi, 8.8 ipm (Black), 5.0 ipm (Color), SCAN, Copy and Fax, InkJet, up to 7000 pages print per bottle, Flatbed, Garansi Resmi Canon. 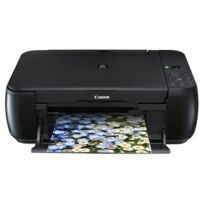 A4, Letter = 60, 4800 x 1200 dpi, 7.7 ipm (Black), 4.0 ipm (Color), WLAN 2.0, Garansi Resmi Canon. A4, Maximum Printing Resolution: 4800x1200dpi, Resolution: 600 x 1200dpi, 1.5 ms/baris (300 dpi)(BW/Color) ipm Print, 3.5 ms/baris (300 dpi) (Color) cpm Copy, up to 7000 pages print per bottle, Flatbed, Garansi Resmi Canon. A4, Maximum Printing Resolution: 4800x1200dpi, Resolution: 600 x 1200dpi, 8.8 ipm (BW/Color) ipm Print, 5.0 ipm (Color) , up to 7000 pages print per bottle, Flatbed, Garansi Resmi Canon.